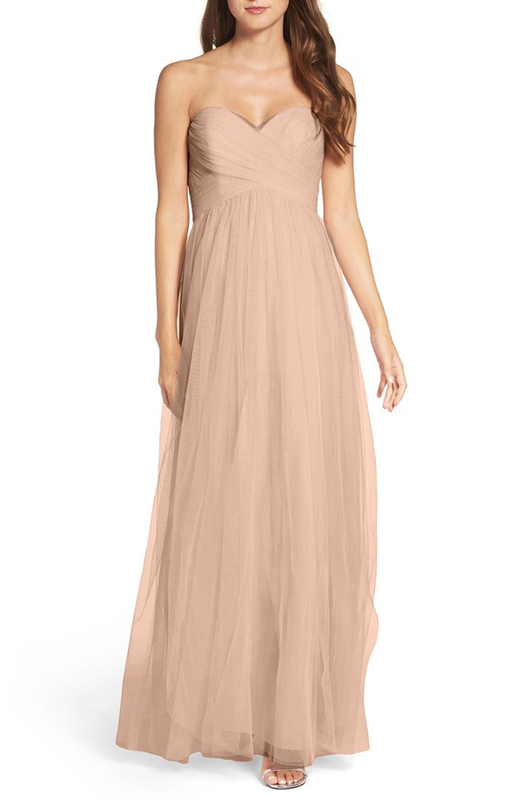 Finding the perfect bridesmaids dresses that all you bridesmaids will love and feel happy about, it is definitely not an easy task! 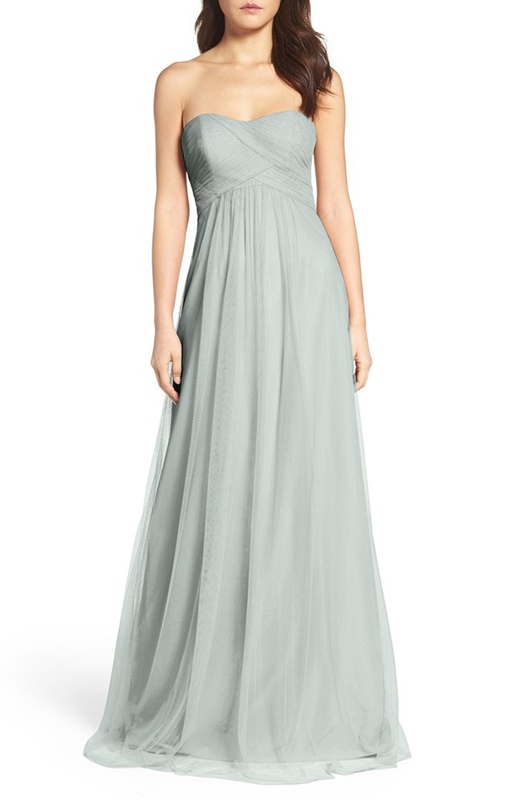 We are sharing today beautiful WTOO bridesmaid dresses from Nordstrom! 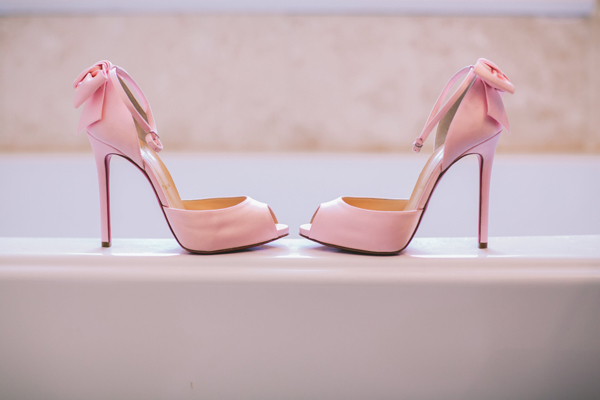 Available in a variety of colors, styles and materials you will keep each of your bridesmaids happy and looking ultra stylish! 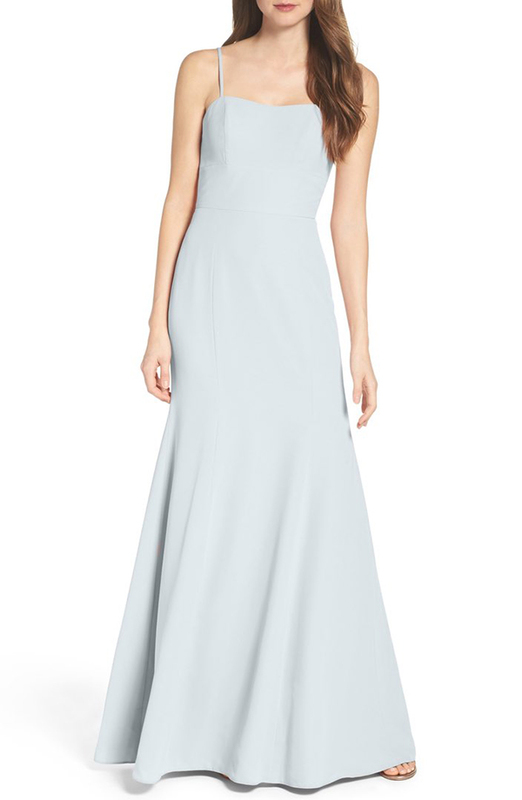 Lightly colored chiffon is beautifully seamed into a romantic gown designed with a fitted waist that releases to a pleated, floor-sweeping skirt. 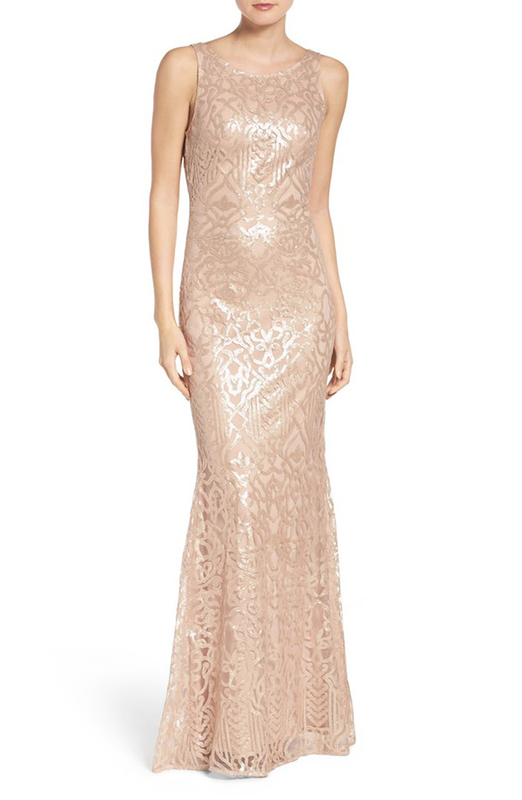 Scintillating sequins trace elegant glamour down the fluid length of a graceful A-line gown that flatters with a décolleté neckline and plunging V-back. Ethereal, tissue-weight tulle is shirred and wrapped around the strapless bodice of a romantic gown to create a fitted waist that releases to a wispy, floor-sweeping skirt. 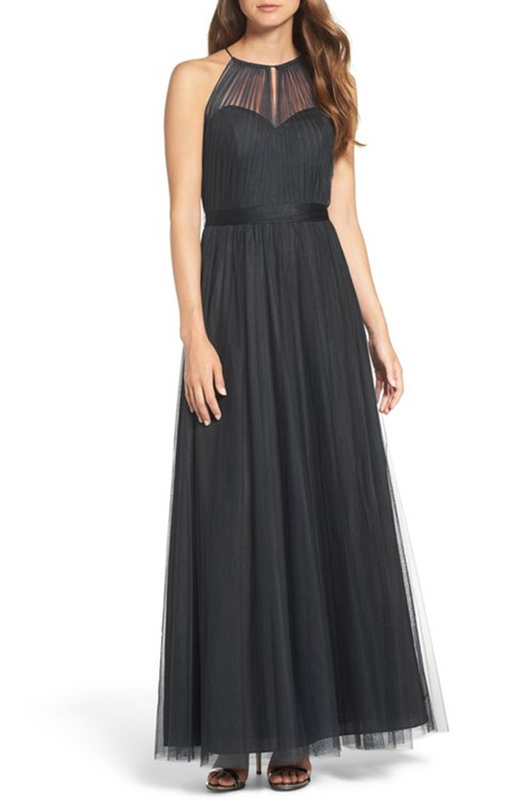 This gorgeous gown with a fitted, crisscrossed bodice is elegantly flared near the hem and is detailed with an overlay of gossamer bobbinet. 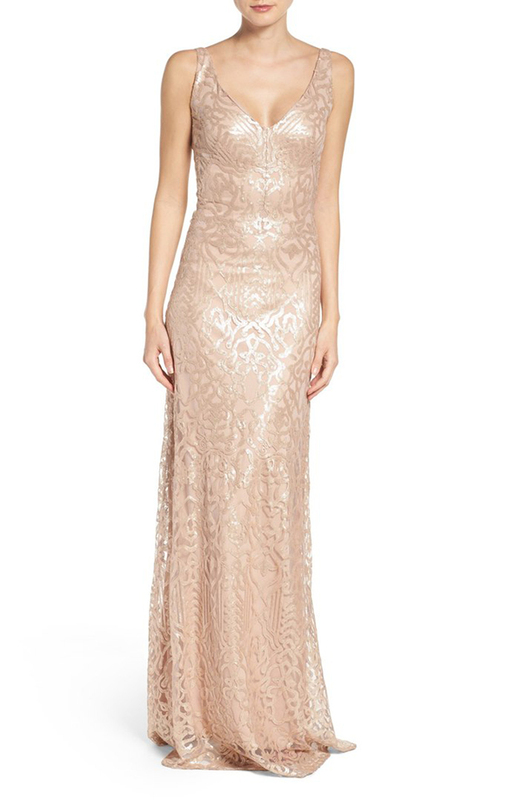 Whether coming or going, this gown presents an elegant and glamorous look embroidered with an ornate pattern of glimmering sequins in a fluid A-line cut. 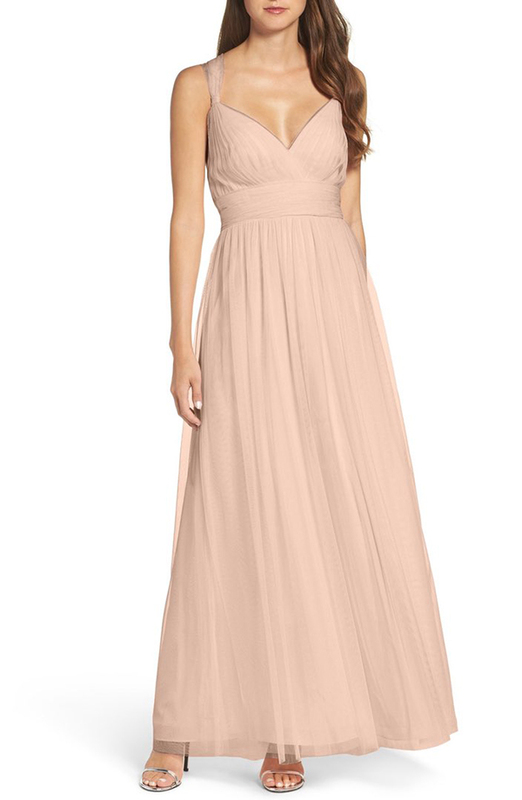 A softly gathered sheer overlay draws the attention to your décolletage in an ethereal tulle gown complete with a slender band at the waist and a long, wispy skirt. 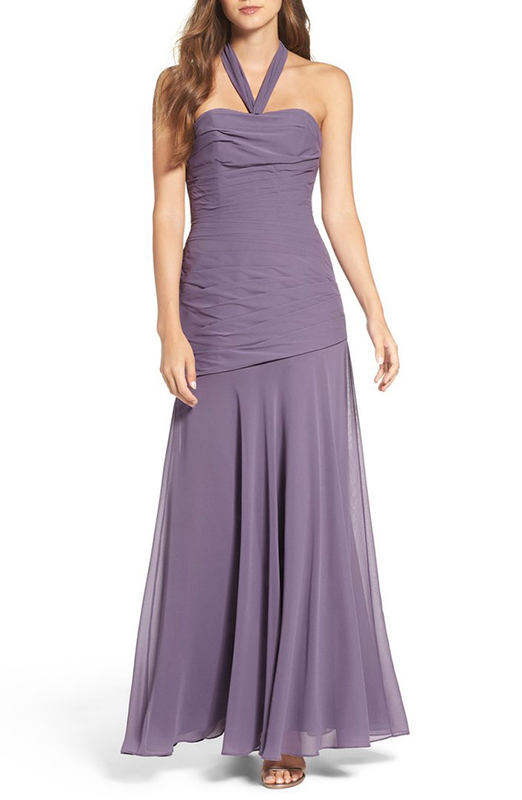 The ruffled strap of this feminine chiffon dress elegantly falls to a gathered bodice of crisscrossing panels. 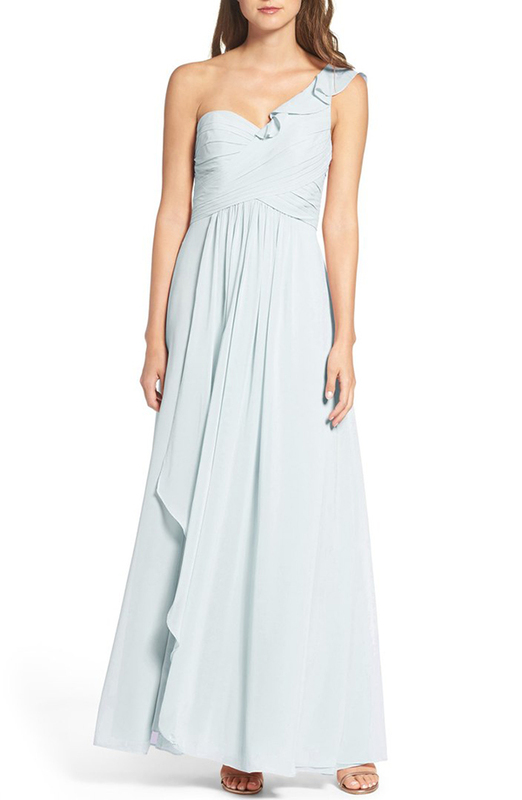 A cascading halter tie lets you customize this dreamy chiffon gown designed with paneled construction and a chic dropped waist. 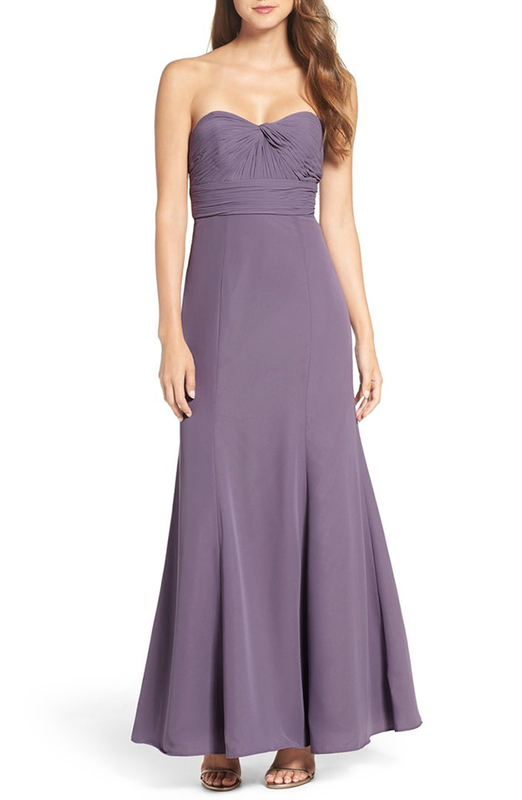 Modern and elegantly styled, this chiffon gown highlights your décolletage with a ruched strapless sweetheart neckline. 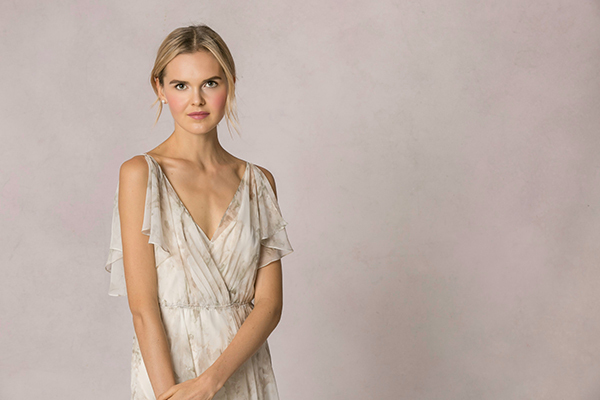 Whimsical and feminine, this wispy tulle gown is fitted through the bodice and waist with long, flowing ties that can be crisscrossed and fastened in back or tied simply behind the neck. Wrapped and cinched at the bodice, this elegant gown has an overlay of gossamer bobbinet and an alluring exposed back that shows the perfect amount of skin.